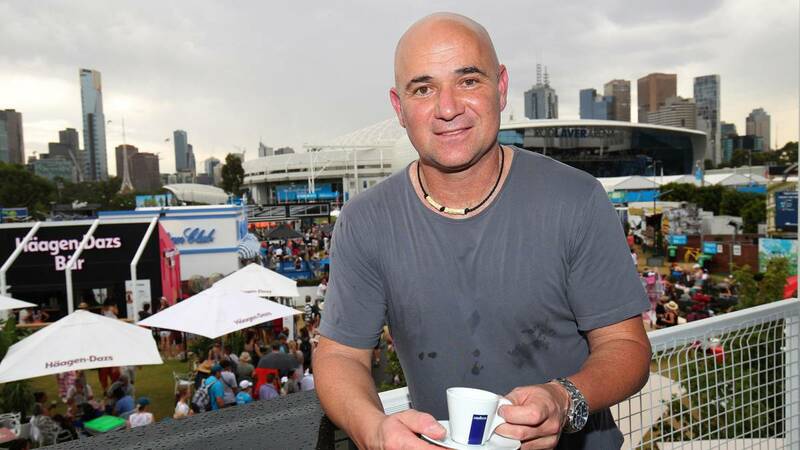 Home Tennis Agassi: "The new Davis puts an asterisk on past success"
Agassi: "The new Davis puts an asterisk on past success"
Andre Agassi (Las Vegas, 48) is the current coach of Grigor Dimitrov. Talk to Ace about Piqué's new Davis: "I do not like it". Now you train Grigor Dimitrov. What was your vision of the Bulgarian game when he embarked on his team and how far can he go? Better we simplify it: why are not you doing the things that people thought you would achieve? In my opinion, there are three clear states of the player in tennis: control, neutrality and defense. When Grigor was in control, he did it with the doll; when he used to be neutral, he would go back quickly; and when I was behind, I did not have much transition, just strength. If you move well between these three parts and use your strengths, with your speed in a more offensive, proactive and controlled way, it makes the difference. There is much more, but that would be more the technical aspect. You must work very hard if you do not do it intelligently, and if you work too hard, it is difficult to do it game after game. My hope is that I can get it much easier. What part of Novak Djokovic's progress is up to you after your separation? Do you think that if they had kept together he would have reached the same point now? It is difficult to enter into the mind of another. I was hoping to contribute something, but it takes two, and there were probably a lot of things in which I was forcing the teaching and I do not know if that takes a while to process it. The same I introduced more anguish in his life, but at the end of the day and in tennis you get the results you deserve, and in your case is to be at the highest level. When we started, I predicted that I would win two big titles a year for the next three or four courses, and I'm up to date with that. Many young people have started to win. Who is your favorite of the NextGen? I have not spent much time observing them. Now in Melbourne I can see the young people that I do not have the possibility to follow at home, because they do not play all the games on TV, so I am good at assimilating what I know and learning what I do not, and I do it fast. Being here is a great opportunity to observe the Australians. They will bring a new level of struggle and pride to your country. They are fun to watch. Do you consider Novak as the man to beat here? Well, my hope is that Grigor Dimitrov has something to say. The story says that if Novak is at his best, he can dominate again. He loves to play here and the tournament comes in handy, so of course he will be the favorite. What do you think about the new format of the Davis Cup? I understand the goals and objectives. We have to wait and see if it works or not. But I do not like the changes in the sport that put an asterisk behind the previous successes. I do not care about the changes designed for the better. However, when an asterisk is placed next to traditional achievements, that has implications for the integrity and history of the sport. The hope is that all the players participate, but they are forgetting many beautiful cultures and communities that really benefited in many ways from the old system. Personally, I do not like anything. It did not seem bad to me that Wimbledon went from the white balls to the yellow ones, that at the US Open there is now a free day between the semifinals and the finals ... For me there are levels of change that are more acceptable. How did you feel? to hear the words of Andy Murray about his condition and to see him fight so much in what could be their last meeting? And if it was, how would you classify your career among the greats of all time? It is difficult to put your career in perspective without thinking much, because he deserves that reflection. But what I can say is that no one deserves to suffer pain, it is not pleasant, especially with someone who has been as good as him, with what tennis offered him and what he gave back, and what he has achieved. It is hard to see him in pain and if he is sure that he will feel it every time he enters the court, I can understand his feelings and his decision. What he said sounded ambiguous to me, and for the sake of tennis, I hope he does not leave. But if he is not healthy and it hurts, I wish him the best. What do you think of Nadal and his chances in this Grand Slam? I have not seen his first two duels up close, but if he is healthy he is always a threat, It is always. He knows how to win. It's probably one of the best competitors we've had, so I think it has good chances.